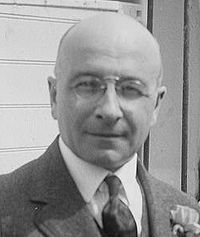 Bernard Fantus, the Hungarian-born physician who was the director of "therapeutics" at Cook County Hospital in Chicago, Ill., established the first "blood bank" in 1937. Until then, a donor had to be on-site at the time of a blood transfusion. Dr. Fantus also coined the term "blood bank," in an article in the Journal of the American Medical Association that year that set out the hospital's methodology in clear, understandable terms. Other institutions swiftly developed their own blood-storage facilities, and helped themselves to Fantus's catchy term as well. Cook County's blood-storage innovation came at a critical time, just a few years before the start of World War II, when blood donated by people thousands of miles from the battlefronts would make the difference between life and death for a great many injured Allied soldiers. Blood's ability to stop flowing — to clot — is a wondrous property that keeps us from bleeding to death after minor injuries. However, that trait was a major stumbling block to perfecting blood transfusions. Even early in the 20th century, a few minutes into any transfusion, blood would begin to clump together in the tube that was carrying it from donor to recipient, and the technician would have to start over. Letting blood sit in a container for any length of time was out of the question. A number of researchers were working on the problem. The Belgian physician Albert Hustin, and the Argentinian doctor Luis Agote, both hit on the anticoagulant properties of sodium citrate in 1914, but the bad news was that the common compound was toxic in blood. 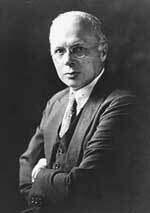 Dr. Richard Lewisohn of New York's Mount Sinai Hospital solved that problem with exhaustive experiments. 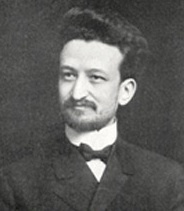 The German-born Lewisohn, who had trained at the excellent University of Freiburg, discovered the concentration at which sodium citrate could keep blood liquid without poisoning the transfusion recipient. At first, it looked as if sodium citrate had a worrisome set of side effects, but Lewisohn proved that those were caused by infectious agents in poorly cleaned equipment. In the end, he showed that a diluted sodium citrate concentrate in blood, deployed with meticuously maintained needles and tubes, worked just about perfectly. In fact, it is still used. Once the medical profession accepted Lewisohn's elegant solution to the clotting conundrum — and that took years — blood transfusions were transformed from a traumatic undertaking to the routine procedure they are today. In 1916, just in time for World War I, researchers determined that sodium citrate allowed blood to be stored outside the body for up to two weeks. This video by Heather Cushman Dowdee, also known as Hathor the Cowgoddess, is a clever sendup of the hospital birth. I recognized more than one patented feature of the BirthsMart approach from my own birth experiences.